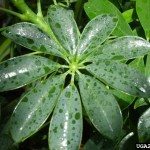 The most common problem with Schefflera is over watering. Make sure the soil is drying out between waterings. Your plant will need a bright, indirect light. 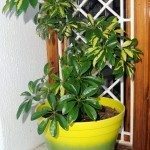 Moving the plant and changing environment is likely much of the cause of stress to the plant. Frozen plant leaves generally will turn black and fall off. This can take days to happen.